After 4 precious grandsons we finally have a little princess!!! wonder if she'll like playing with all the trucks, fire engines, dinosaurs, etc or if we'll have to start all over & get princess toys!!! We lived in the country for a year and finally found a garden home in town where we are closer to dr and hospital...and of course heb, WalMart & church! Moved to Robson Ranch at Denton to be closer to son in Denton and daughter in Plano. And close to my grands! Blessed. On my 71st birthday I remarried! Ron Geyer (class of ‘65) was my 9th grade boyfriend. I’ve been so blessed to have reconnected with him and he loves me unconditionally like Fred did. He also graciously agreed to leave his home in Windcrest and move to Denton.!!! Doubly blessed! 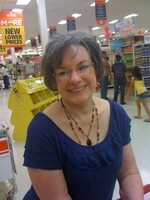 Janice Hale Martin updated her profile. View. Janice Hale Martin added a photo to her profile gallery. New comment added. Janice Hale Martin has a birthday today. Janice Hale Martin posted a message. Hope you had a great birthday! Keep dancing! Janice Hale Martin posted a message. New comment added. Have a blessed day Pat! Hope you have a blessed day as you celebrate YOU! Janice Hale Martin added a comment on Ronald Heck's Profile. Happy Birthday to my MUCH older friend,,,hope you have a fabulous year! ???? Janice Hale Martin has a birthday today. New comment added. Happy birthday Linda! Hope your day is overflowing with many unexpected blessings! Happy Birthday from Denton, Tx! Moved here 5 months ago to be closer to kids and grands! Janice Hale Martin posted a message on Richard Fletcher's Profile. Keep celebrating to the max!!! Hugs & love! Janice Hale Martin added a comment on her Profile. Students from Miss Graham's 1st & 2nd grade class Highland Park Elem. we had lots of double dates!! !